The new M18 is the flagship of the Meercat Boats range. Built of rugged 8mm steel construction, the 18.75 metre mono-hull Meercat is a cost-effective solution to today’s maritime contractor who needs to provide a variety of duties for their customers, ideally fulfilled by a single workboat. The new M18 has been unveiled as a completely new design, offers a variety of deck and internal configurations. 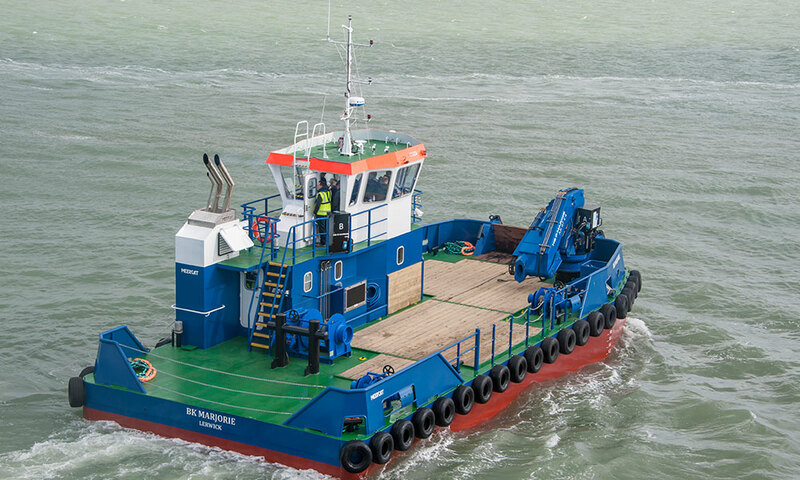 Designed for larger and more complex projects that its smaller sister ships, the M18 is ideally suited for uses including those for port services, construction works, dredging support, plus offshore and wind farm support. The M18 provides exceptional all-round performance, which is further enhanced by it being capable of carrying up to 85 tonnes of cargo, the M18’s pulling capacity is at 12 tonnes bollard pull. The wheelhouse offers unsurpassed all-round visibility to its surrounding area and the deck. The vessel has a stable working platform which is suited to a multitude of tasks. Powered by two Doosan V158TIH engines, the 18.75-metre vessel has a top speed of 9.5 knots and has a range of 60 nautical miles from safe-haven. As one of the leading innovators in its field, the Meercat brand is synonymous with delivering the ultimate in multirole vessels, with the option of single, twin or triple hull versions. To find out more about the M-range and how Meercat will tailor the vessel to precisely match your needs, contact the team on sales@meercatboats.com or please call +44 (0)23 9238 5179 to discuss your aspirations for your next multirole workboat.